And We WON This Week’s Contest!!!!!!! Thanks to the guys at Tiki brand for getting back to us about the video…ours got posted and WON this week’s contest! We’re very excited to be a part of this fun contest, and had a great time putting our video together, and we won a prize for it!!! Our Video is UP! Finally! 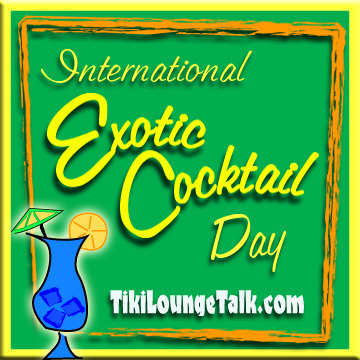 Our video submission for the Tiki Dance Contest is up on contest page on youtube! Check it out here http://www.youtube.com/groups_videos?name=tbdvc and make sure you leave a comment and/or rating! We’re very excited to be in this Tiki Dance Contest. Wish us luck! Ok, this is kind of funny. As you may know, back in the beginning of July my wife and I decided to shoot and submit a video for the Tiki brand Dance Contest. 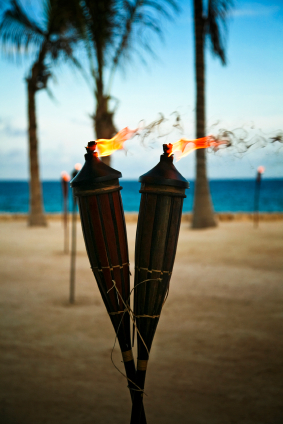 Tiki brand is the company that makes Tiki Torches and Citronella candles. They’re having this little video contest through YouTube to promote the company. Well, since Colleen and I are natural born hams, with years of theater in our souls, we decided to shoot something silly and fun. We did a sort of Louis Prima/Keely Smith routine, where she dances very beautifully while I act like a complete idiot all around her. We even got our parrot, Rio, in the shoot. And our cat (named Tiki) decided he wanted a cameo. We shot the video on the lanai around our (outdoor) Tiki Bar, and made sure the (electrically lit with flickering bulb) tiki torches were on. So we upload the video on Monday, July 13 and wait. Days go by. No video on the contest site. So I email them, and get no response. I twitter them, and get no response. I email them again, nothing. Twitter again, nothing. Post on their Facebook fan page, nothing. Finally, after a week, I found the company’s commercial website, and contacted their home office, asking if the contest had been cancelled, or if it ever was an actual ‘real’ contest to begin with. BINGO! Finally, after 10 days, I get a reply…they are sorry, I should have received an email stating why my video was REJECTED! Are they bananas? LIT Tiki Torches? in my HOUSE? I guess there are people out there dumb enough to do that, but not this kat. So I replied with a very friendly “You guys are nuts, it’s outside and electric”. I didn’t get a response. So, tonight I reshot a few things, did some creative editing, and re-submitted. The contest ends on the 31st, and the last ‘weekly’ drawing is tomorrow, so I’m probably not going to get my video up on the site on time, since it seems to take them a very long time to do things. I guess they are very laid back at Tiki brand. Anyway, I hope ours does get in, because we put a lot of time into it and had a lot of fun doing it. It would be a shame to be excluded because someone erroneously thought I was trying to burn down my house. Here’s the NEW Video. If you’d like to see the original, longer version click here! Murder at the Mai Kai tonight! 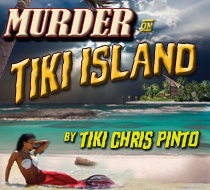 We’re very excited to see “Murder at the Mai Kai” tonight at the famous Mai Kai Polynesian restaurant in Fort Lauderdale, Florida. 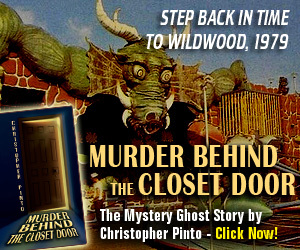 I used to own a murder mystery theater company, so I can’t wait to actually be in the audience tonight! I’ll post all about it over the weekend. Mahalos!